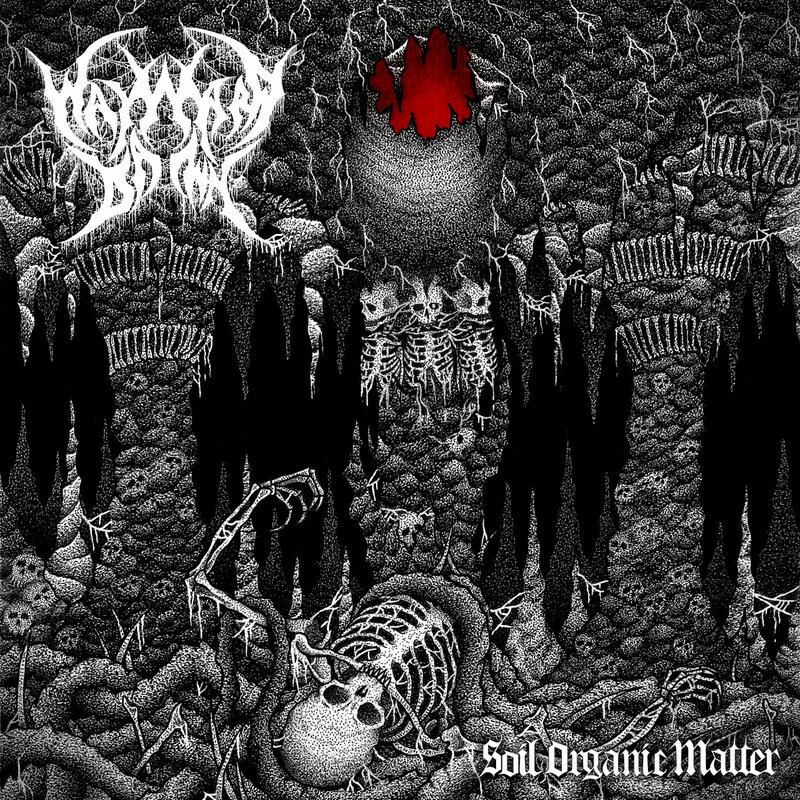 On Soil Organic Matter, the Skanderborg, Denmark death metal crew’s debut full-length album, Wayward Dawn deliver what is without a doubt one of the best death metal debut albums of the year so far. This is a record deeply indebted to the old ways of death metal, drawing inspiration from early Morbid Angel, Pestilence, Death and Obituary, with a few tasteful modern stylistic flourishes. The result is an album which sounds refreshing on every level, in its honest and unabashed emphasis on the ancient art of sick riffcraft in the service of merciless, crushing death metal. As the title track convincingly demonstrates, this is a band whose relentlessly heavy death metal is all shred, bruising grooves and downtuned thrashy riffs. The brutal riffs are surprisingly technical given their more traditional inclinations, but never anything less than instantly memorable and neck-injury-inducingly heavy. Frontman Niklas Lykke’s howls are another fantastic old-school throwback, and drummer Lukas Nysted puts in a sterling performance behind the kit. The dense, chainsaw-like guitar tone is a kick to the teeth, and owes something to Morbid Angel’s classic albums Gateways to Annihilation and Altars to Madness, a perfect pairing if there ever was any. The guitarwork by Rasmus Johansen and Jakob Kristensen is really what sets this album apart, with ferocious old-school riffs. The punishing rhythms and grooves on “Ape of State” never let up, and the band only slows down briefly in order to sink into even heavier, grinding grooves. The opening of “March of Mannequins” with the pounding guitar riffs and prominent bass, courtesy of Kasper Szupienko Petersen, is a pretty clear nod to Polish greats like Behemoth, but the album transitions naturally back towards their closer North American influences and their assault renews. The opening section of “Voices Unheard” is one of the heaviest moments of any song so far this year. The album packs in a dizzying array of whiplash-inducing riffs, leaving the competition in the dust. Soil Organic Matter clocks in at just under 45 minutes, which is absolutely perfect for a record this unrelentingly heavy. The production is relatively clean but gives every instrument enough room to breathe without being compressed or loud in a way which can make albums like this a testing listen. Soil Organic Matter is without a doubt one of the best death metal albums of the year so far. It demonstrates a single-minded devotion to delivering a bruising but memorable death metal album, free from gimmicks or pretentious experimentation. This is an album to play loud and on repeat. Get it from Bandcamp. Follow Wayward Dawn on Facebook. Soil Organic Matter is without a doubt one of the best death metal albums of the year so far.